Diploma with not less than 60% marks in Mechanical/Electrical/Electronics Engineering recognized by the Government of India, Ministry of Human Resource Development. The Diploma in Engineering should be three years duration after SSC/HSC. 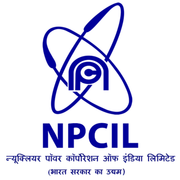 Eligible candidates may apply online at NPCIL's website (direct link is given below) from 18 Oct 2018 to 12 Nov 2018 05:00 PM. (I) Birth Certificate/SSC Mark Sheet as a proof of Date of Birth. (ii) Mark Sheets and Certificates of all Educational, Professional and Technical Qualifications. Mark Sheet of each year or each semester is must. (v) Disability Certificate issued by the Competent Authority in the prescribed format in respect of Person With Benchmark Disabilities (PWBD). (viii) Any other relevant certificates (as applicable).